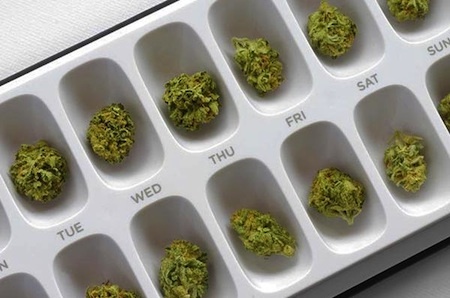 According to a handful of recent polls, a majority of Americans now support the legalization of medical marijuana. This means that legalization, if it hasn’t already, is coming to a state near you. It also means that there’ll be tons of cash up for grabs once medical marijuana is legal in your state. And so, if you aren’t working for or investing in a medical marijuana startup, now might be a good time to get in on the action. To that end, Alex Thiersch, a medical marijuana private equity investor, recently wrote an article in TechCrunch noting that “as stigmas fade and ideas change with regard to legal cannabis, the opportunities for dedicated, ambitious, innovative individuals are limitless.” He also pointed out the many startups that are currently making noise in the industry. New technology firms are playing a major part in increasing the efficiency, transparency, and security of the legal cannabis market. MJ Freeway, BioTrack THC, and Agrisoft have all developed software to track the plant from seed-to-sale, protecting the integrity of the supply chain at every step. Additionally, I constantly see proposals from developers aiming to find new ways to connect grower to sellers and sellers to consumers. Companies like Open Vape are establishing benchmarks on what it means to consume marijuana in the 21st century. The company saw the intersection of the increasing popularity of e-cigarettes and the legalization of marijuana, and acted swiftly to become one of the biggest names in the industry. Intelligent Light Source, for example, is aiming to change the quality and quantity standards for all indoor grow industries through developing LED light systems that mimic the exact needs of particular plant species. The company launched recently trying to shift the paradigm away from simple light intensity toward shifting spectrums and pulses matching the plants’ natural growing cycles. New Frontier Financials seeks to harness the power of big data and apply it to the marijuana industry by capturing market trends and user demographics to generate sophisticated analytical models. Every major industry in the world has leveraged this kind of data as a predictive tool for cost-effective decisions. The cannabis industry is behind in that it is only building these tools now, but this sort of analysis has the chance to become part of the foundation of the business nationwide. Thiersch believes that not only is big data behind in the cannabis industry, but other areas are behind as well. In fact, part of what Thiersch seems to be saying in his piece is that potential, serious players who are currently on the sidelines should get involved. 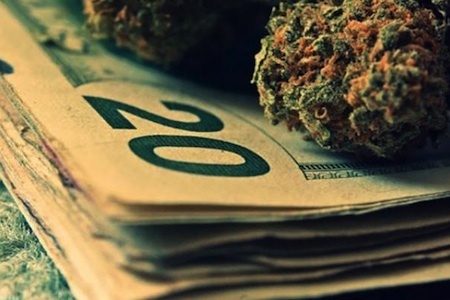 He notes that medical marijuana will soon be a business like any other, and is going to take serious (business, tech, finance, marketing, and sales) people to take cannabis to the next level. As the marketplace grows and acceptance increases, the consumer base will grow far beyond its current scope. National brands will develop, directed to a wide array of consumers from doctors to lawyers to soccer moms. The adult use market will have to diversify, appealing to as many different palettes and lifestyles as beer, wine and spirit companies do today. From a medical standpoint we cannot refer to strains like “Sour Diesel” or “Jack the Ripper” as migraine medication or “Blue Crack” and “Crazy Miss Hyde” as a treatment for arthritis. A cancer patient should not walk into a dispensary and order “Ghost Train Haze” to relieve nausea related to chemotherapy. In any case, if you’re interested in reading about more startups in the industry that could be worth sending your resume to, you can do so here. And if you're interested in submitting a business proposal of your own to Thiersch, whose PE firm Salveo Capital is “funding the future of marijuana,” you can do that here.